This burgundy zip hoodie features the patch of BJ's leather jacket as a large print on the back. 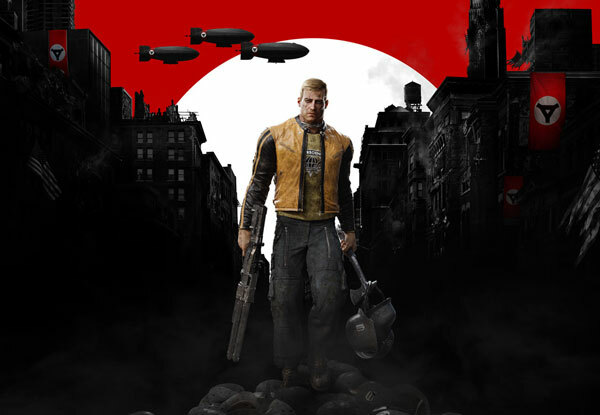 The front has the logotyp from "Wolfenstein 2 - The New Colossus" as a small print. 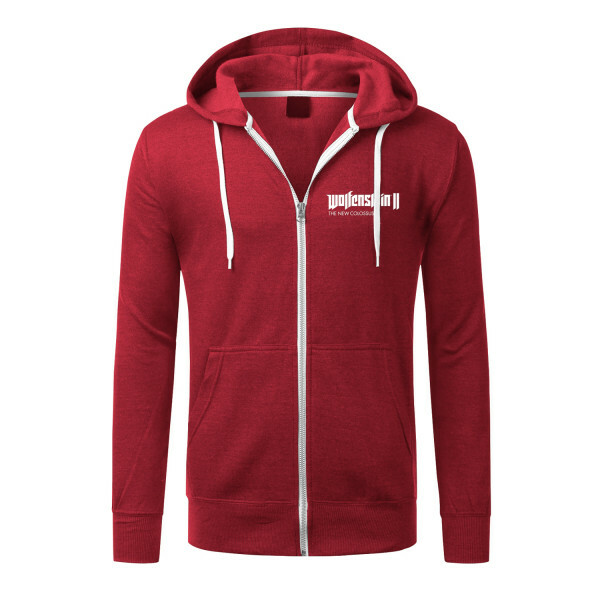 The cotton-polyester mix (80% cotton, 20% polyester) guarantees a long fit and durability of this warm and comfortable hoodie. Manufactured by Gaya Entertainment.